I’ve uploaded PyObjC 5.2 to PyPI with a number of bug fixes and support for the APIs introduced in the macOS SDK included with Xcode 10.2. #252: objc.registerStructAlias no longer emits a deprecation warning because it is still used by the framework wrappers. The function is still deprecated though, the deprecation will reappear once the metadata has been updatd. #75: The core bridge now uses PyDict_GetItemWithError(), which may result in exceptions being raised that were previously swallowed. #247: Partially switch to the new buffer API instead of the older Python 2 buffer API. The new implementation is more correct, but may keep Python objects alive longer than the previous implementation, and also affects buffer related functionality of Python objects. In particular, calling [someData bytes] on a Python object keeps the Py_buffer alive until the next flush of the autoreleasepool. 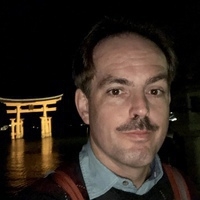 #257: Fix incorrect metadata for the callback argument to -[AVCaptureStillImageOutput captureStillImageAsynchronouslyFromConnection:completionHandler:]. #258: Add bindings to the “PrintCore” APIs from the ApplicationServices framework. Python 2: UserDict.UserDict instances are now bridged to instances of a subclass of NSDictionary.